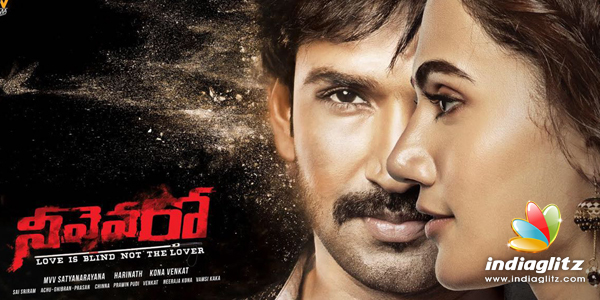 'Neevevaro', starring Aadhi Pinisetty in the lead role, hit the screens this Friday. Here is our review of the thriller. Kalyan (Aadhi Pinisetty) is a visually-impaired celebrity chef. He extraordinarily senses things with the mind. Anu (Ritika Singh) is his childhood friend, who pines for him and his handicap is not an issue to her. 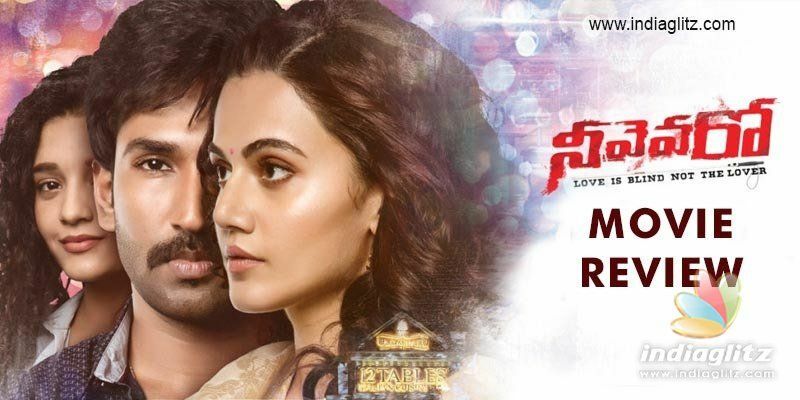 In comes Vennela (Taapsee Pannu), striking an instant chemistry with Kalyan. For all we know, she is troubled by her loaners, who are threatening her to pay back Rs. 20 lakhs or face severe consequences. The good-hearted Kalyan, who is already in love with her, promises to bail her out. As fate would have it, Kalyan meets with a road accident and when he opens his eyes, it has been three weeks. His eyesight is back but gone is Vennela. Where is she? Have the violent loaners eliminated her? Kalyan's search for the missing love of his life leads him to Vijayawada, where he stumbles upon a mind-numbing truth. An official remake of 'Adhe Kangal' (a Tamil feature film released in 2017), 'Neevevaro' takes the form of an investigative thriller soon after doing away with its rom-com vibes in the first 30 minutes or so. 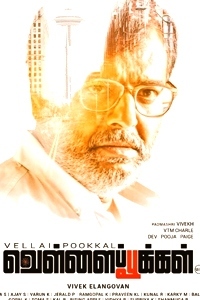 When the original was released in Tamil, a few film critics compared it to 'Dhuruvangal Pathinaaru' ('D-16' in Telugu) and commented that 'Adhe Kangal' could have been much better. What it shows is that a pathbreaking thriller, especially if it was released most recently, can influence the judgment of the audience/critic watching the latest thriller. In the case of 'Neevevaro', will people compare it to a layered film like 'Goodachari', which too is a thriller of a different kind? 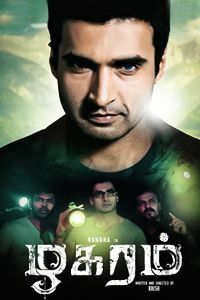 Directed by debutant Harinath, what ails 'Neevevaro' is the lack of a tightly-created mood that a thriller needs as a must. The ostentatious ambience, the ease with which the blind hero achieves perfection, the way this high-thinking guy falls in love so easily - these are either superficial or unconvincing or both. The most thrilling aspect (on the paper) of this film is the identity of the antagonist. So, much care should have been taken in building an enigma around the character. But, the conundrum is missing. Where things should seem cunning only in retrospect, this film etches scenes with a touch of oversimplification. Vennela Kishore gets a full-fledged role in the second half. Never has this reviewer, a fan of his comic timing, felt that he is too self-conscious. Call it the director's mishandling of the actor or whatever, he delivers laughs only rarely. Saptagiri, as a parodically patriotic hacker 'Jana Gana Mana' Jagadish, doesn't help. The hero's family, especially his mother (played by the overemotional Thulasi), is a turn-off. It's as if they are not so happy about the fact that their son is finally able to see. This self-made man is given a tight slap by his mother for failing to attend his engagement. The last 25 minutes is where the film comes to acquire a semblance of edginess. The narration comes with a touch of humour in the way the antagonist's Janus-faced deceptions are conveyed. That said, it would have helped had the villain's character been voluminous. The film also infuses some elements to merely create false confusion. The insubstantial fight in the port is an example. The family party song involving Ritika Singh and others is a big no. Was it meant to be an exhibit of costume designer Neeraja Kona's talent? Aadhi Pinisetty fares well by and large. He is convincing for the most part but one feels he needs to be more versatile with expressions. Taapsee Pannu delivers an intelligent performance and she has chosen a fairly well-written (if not perfectly written) role after 'Anando Brahma'. Ritika Sing is OK. Adarsh Balakrishna as a clay artist and Dr. Ravi Prakash as a vocalist are good. The antagonist's sidekicks make an impact. Achu Rajamani-Prasan's music and BGM, as well as Sai Sriram's cinematography, are fine. Prawin Pudi's editing is smart. A remake, 'Neevevaro' doesn't have edge-of-the-seat moments. There is a lack of urgency in the proceedings.